Digital terrain models digital models of terrain, plant cover and satellite images were used to create the map. Digital models of the ground of processed according to E. Imhof technique to curve the land and get a perspective convinvente that is perceived throughout the territory. 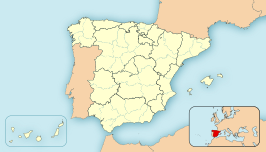 Mountainous areas, is also exaggerated since the area to represent is fairly flat (Extremadura, Mérida) with the exception of the sierra from the right. Later was a 3D rendering of the ground and proceeded to treat the image. The drawings of vegetation, roads, water reservoir and its reflections, clouds, urban centres were handmade in Illustrator and photoshop. The map was conducted using GIS for the integration of mapping, 3D rendering and drawing techniques by hand.